Each year, members of the Automotive Journalists Association of Canada vote on the best vehicles in each segment. The goal is to guide consumers toward the best vehicles in each class. For 2018, Mazda has two vehicles in the running for the AJAC Canadian Utility Vehicle of the Year Award, the 2018 Mazda CX-5 and the 2018 Mazda CX-9. Both SUVs make bold statements in their class. The highly competitive small SUV segment is one of the best-selling categories in recent years, and just being nominated as the best Canadian Utility Vehicle of the Year is a huge achievement for the Mazda CX-5. 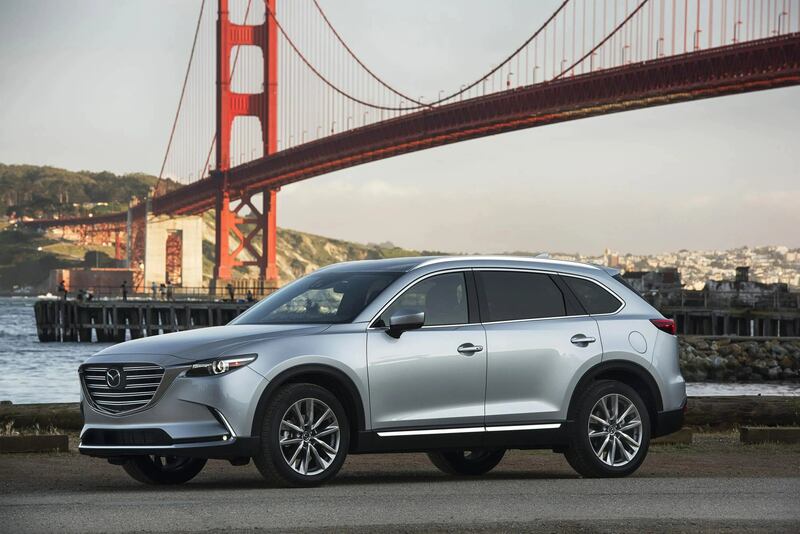 And with the large SUV market closer than ever, the Mazda CX-9 has made great strides in being considered for the top prize. Why is the Mazda CX-9 Possibly the Canadian Utility Vehicle of the Year? The Best Large SUV in Canada competes for the Canadian Utility Vehicle of the Year also. The 2018 Mazda CX-9 does so with an inspiring driver’s seat experience, stunning looks, and all the equipment you could want inside and out. LED headlights lead the charge on all CX-9 trims. Its sleek, muscular look is complimented by standard 18-inch alloy wheels or optional 20-inch rims, and the massive diamond-shaped grille opening that says it’s a Mazda. The 2018 Mazda CX-9 is powered by a turbocharged 227-hp SKYACTIV-G four-cylinder, equipped with iACTIV AWD available on all trims. Fuel efficiency is outstanding, achieving up to 8.4L/100km on the highway. Of course, this three-row SUV is extremely well-equipped on the inside. Heated seats are standard in the front and available for the second row as well. Nappa leather is available, as is Adaptive Front-Lighting System, a power moonroof, front and rear parking sensors, an 8-inch MAZDA CONNECT infotainment screen, and a 12-speaker BOSE audio system. The 2018 Mazda CX-9 large SUV and the 2018 Mazda CX-5 small SUV are both contenders for the Canadian Utility Vehicle of the Year, awarded by AJAC. If you’re in looking to buy one of the best SUVs in Canada, you’ll find it from Mazda. See both award-winning models today at your local dealer in Barrie, ON, Moffatt’s Mazda.